Vaccines are suggested to start at 6 weeks of age. If you purchase your puppy from a reputable breeder it will most likely have had at least one booster vaccination by the time you bring your puppy home. The boosters should be done every 3 weeks until your puppy is 15 weeks old. Call today to ask about our Puppy Care Plan and to schedule your puppy's first trip to the Vet for a Comprehensive Exam and discuss with your veterinarian the best care for your new puppy. The most common vaccines for dogs are Rabies and DHPP (Distemper, Hepatitis, Parainfluenza and Parvo). If you live in the city of Everett your pet is required to have a current Rabies vaccination. The DHPP is highly recommended for all dogs. It protects your pet against many highly contagious diseases. After your pet has had all of it's puppy shots then the Rabies and DHPP vaccines can be administered every 3 years. It is also suggested that your pet receive the Bordetella vaccine. 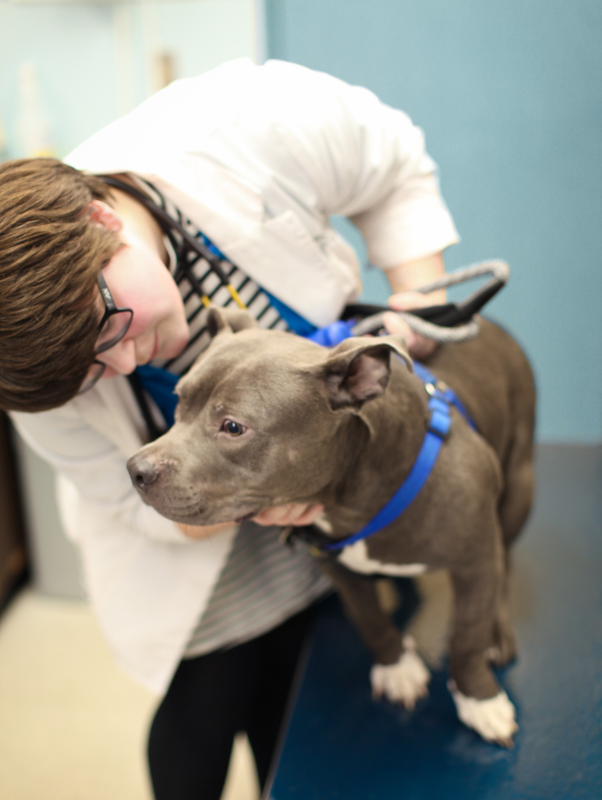 This vaccine can help prevent the spread of "kennel cough". Kennel cough is spread through the air when a pet who is contagious coughs. In a kennel, boarding or grooming environment it is easily passed to all pets within that area. While a Bordetella vaccine cannot guarantee 100% effective against the infection it can make it so the symptoms are much milder then if unvaccinated. Vaccines are suggested to start at 6 weeks of age. If you purchase your kitten from a reputable breeder it will most likely have had at least one booster vaccination by the time you bring your kitten home. The boosters should be done every 3 weeks until your kitten is 15 weeks old. Call today to ask about our Kitten Care Plan and to schedule your kitten's first trip to the Vet for a Comprehensive Exam and discuss with your veterinarian the best care for your new kitten. 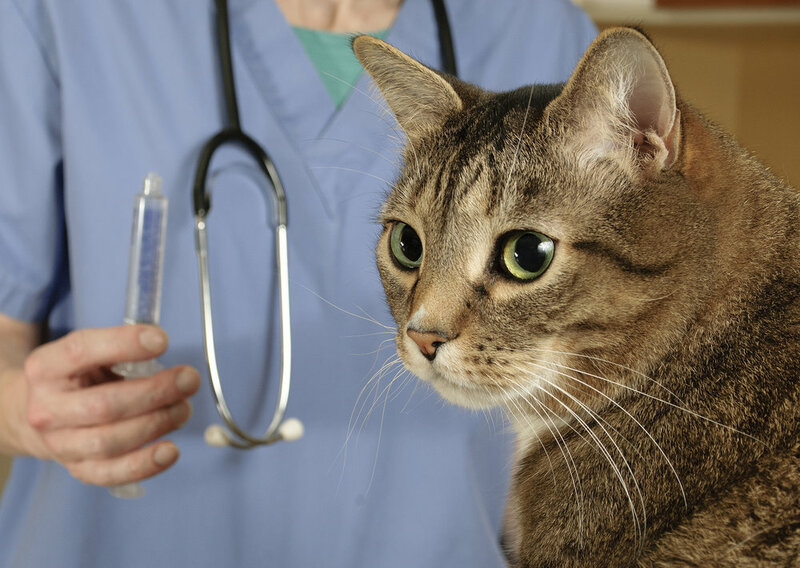 The most common vaccines for cats are Rabies, FVRCP and FELV. If you live in the city of Everett your pet is required to have a current Rabies vaccination. Rabies vaccinations are due yearly. FVRCP vaccine protects your pet from Feline viral rhinotracheitis, calicivirus, and panleukopenia. After your initial kitten vaccines FVRCP is given every 3 years. FELV helps protect your pet from what is commonly known as Feline Leukemia. While not related to the human disease, the name stems from the fact that the first disease associated with the virus was a form of leukemia. By the time it was discovered that the virus was not the same as leukemia, the misnomer had already found its way into our vocabulary. FELV is also given annually.